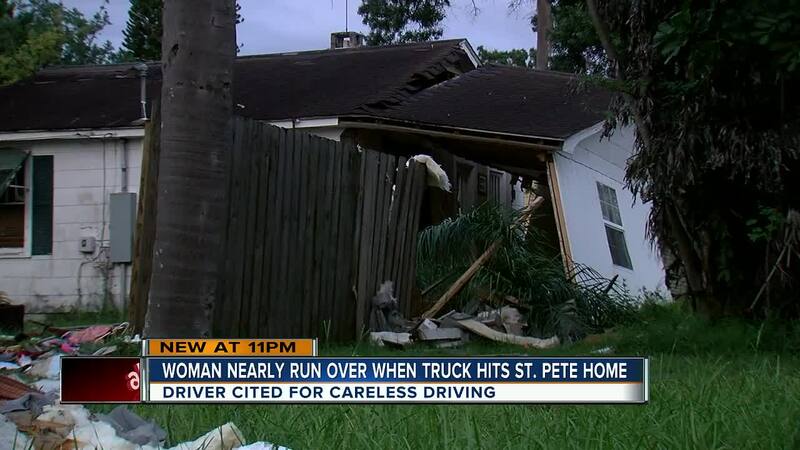 ST. PETERSBURG, Fla. — St. Petersburg police are investigating after a pick-up truck drove into a house and injured a woman inside. Around 5:30 p.m. Monday, police and fire rescue responded to the 5400 block of 38th Avenue North in St. Pete. When crews arrived on scene they found a vehicle had driven through a home. Police say that Ashley Zurla, 38, who was home in bed at the time was injured. She was taken to the hospital with serious injuries and is in stable condition. Children were home at the time, but were not injured. St. Pete Fire Rescue says that the driver, Samuel Anderson, 44, was also treated and released at the scene. Anderson has been cited for careless driving.